Kathy Dawson Books, 9780525429494, 368pp. Moïra Fowley-Doyle is half-French, half-Irish, and lives in Dublin with her husband, their young daughters, and their old cat. Moïra's French half likes red wine and dark books in which everybody dies. Her Irish half likes tea and happy endings. Moïra started a PhD on vampires in young adult fiction before concentrating on writing young adult fiction with no vampires in it whatsoever. She wrote her first novel at the age of eight, when she was told that if she wrote a story about spiders she wouldn't be afraid of them anymore. Moïra is still afraid of spiders, but has never stopped writing stories. 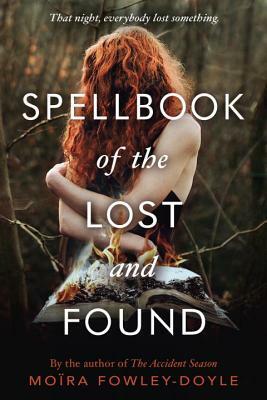 She is the author of The Accident Season and Spellbook of the Lost and Found.